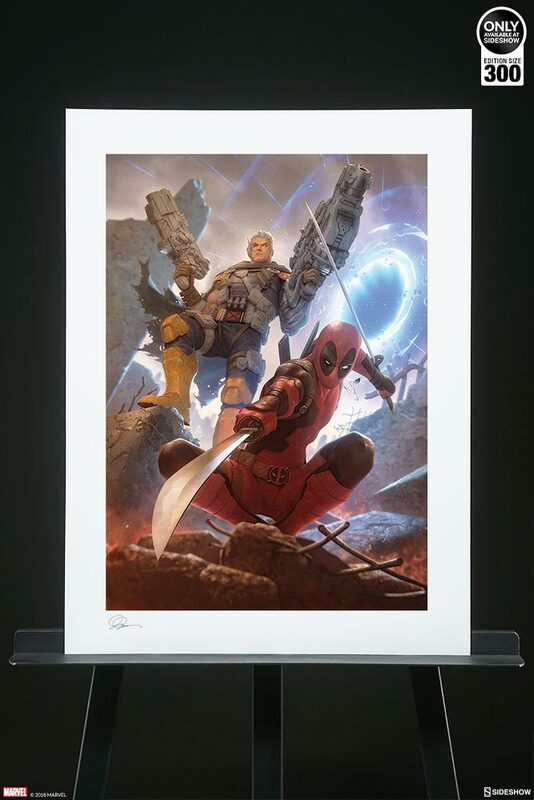 This Deadpool & Cable Premium Art Print by Alex Garner is a limited edition of only 300. 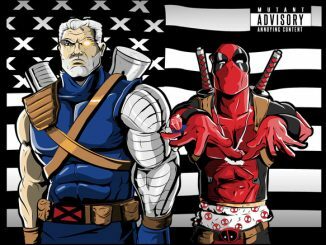 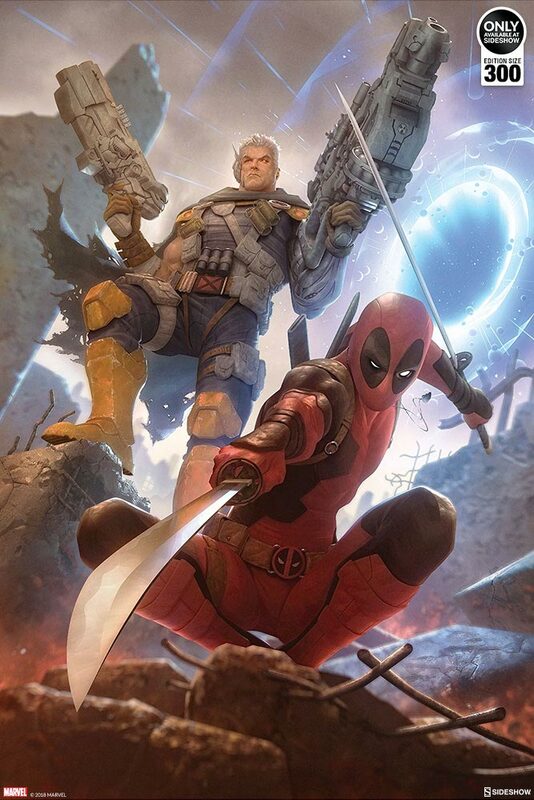 The artwork features Deadpool wielding dual katanas as Cable emerges from an interdimensional portal with two big guns drawn. 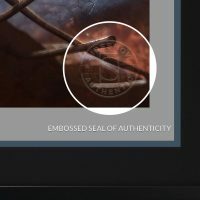 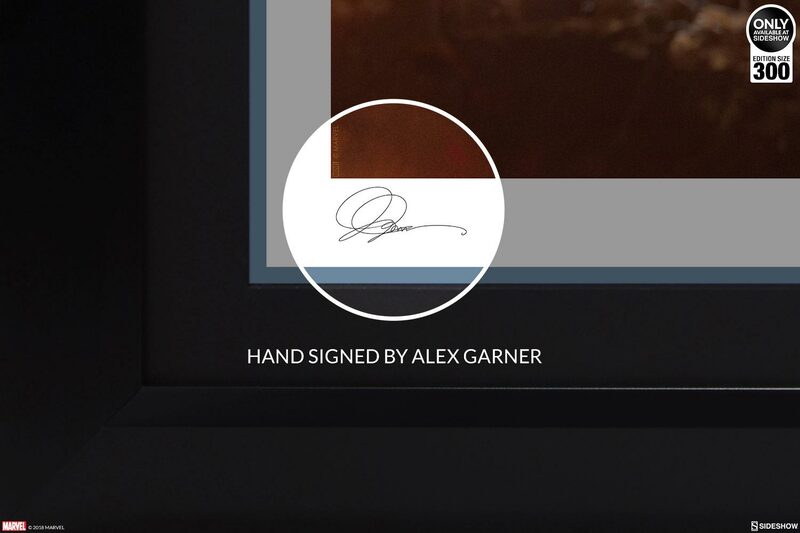 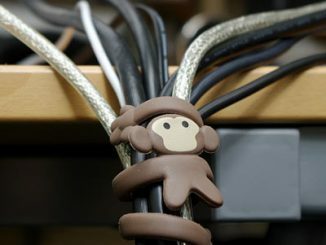 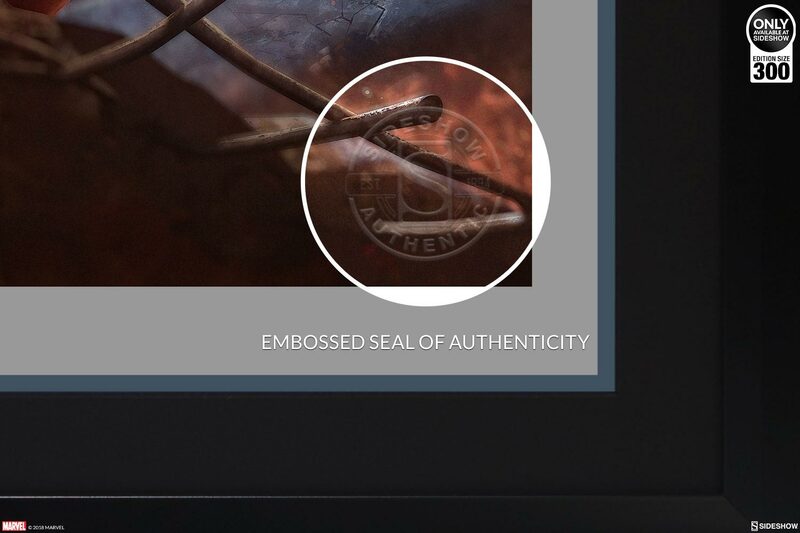 Each is hand signed by the artist and is embossed with a seal of authenticity. 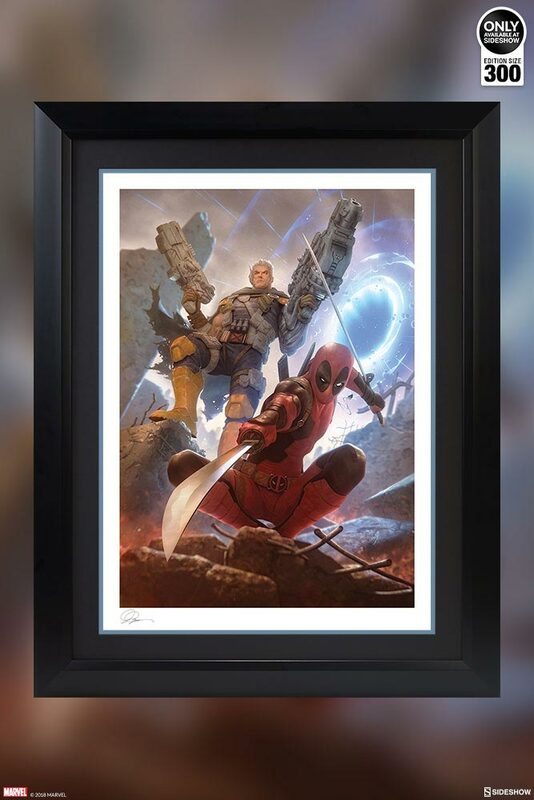 Fans of Marvel X-Force and the Merc with a Mouth will want to get their hands on one of these before they sell out. 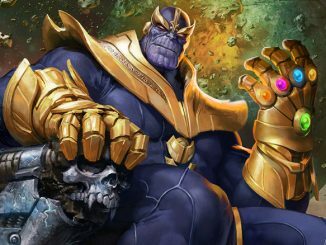 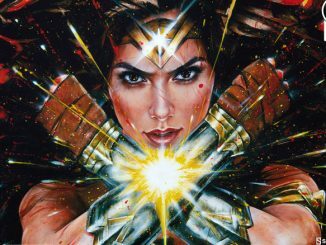 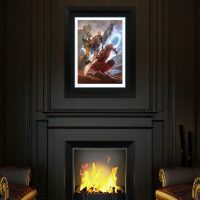 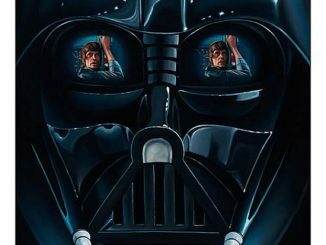 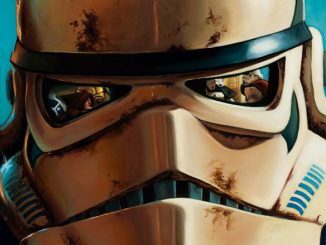 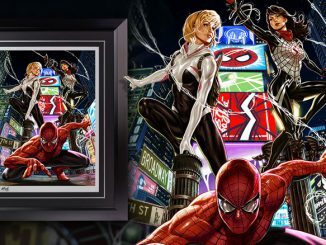 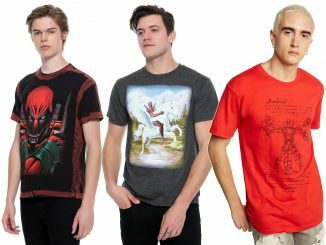 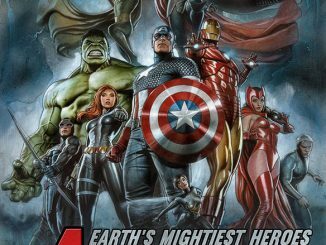 Officially licensed by Marvel, these premium fine art giclée prints measure 18 inches by 24 inches and feature Epson archival inks and 100% cotton, acid-free, matte Museo Rag 300GSM. 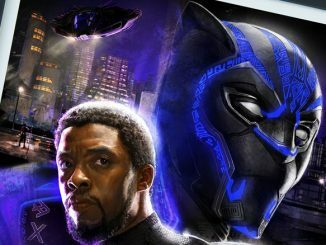 This is no mere poster! 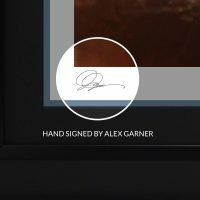 You can also get it framed in a custom designer acrylic frame that includes a custom double mat design. 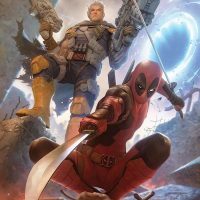 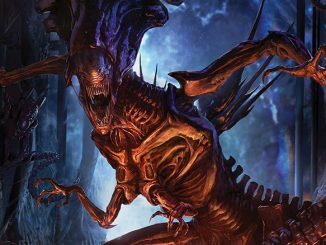 Two mutant mercenaries from across the time stream come together in this dynamic portrait capturing their legendary combative partnership. 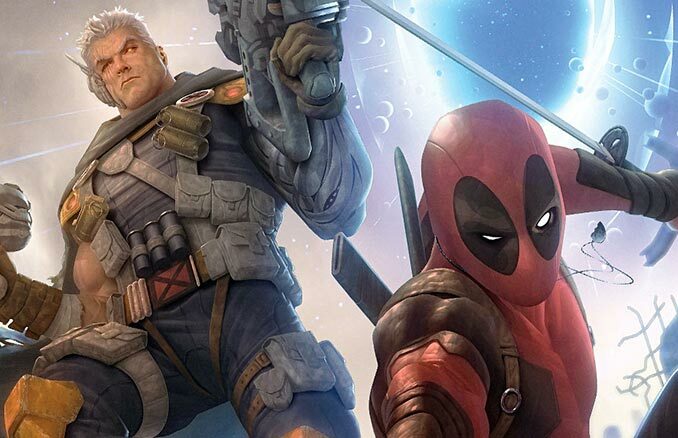 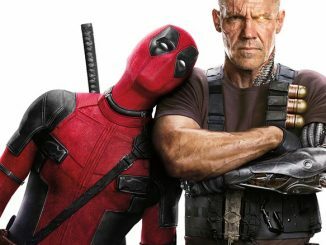 Brandishing his katanas, Deadpool takes point on the mission while Cable brings the big guns, emerging from an interdimensional portal to dispense vengeance on his victims. 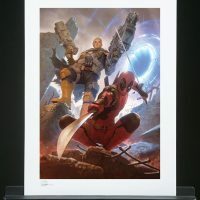 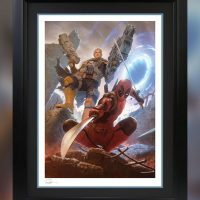 Buy the Deadpool & Cable Limited Edition Art Print exclusively from Sideshow Collectibles. 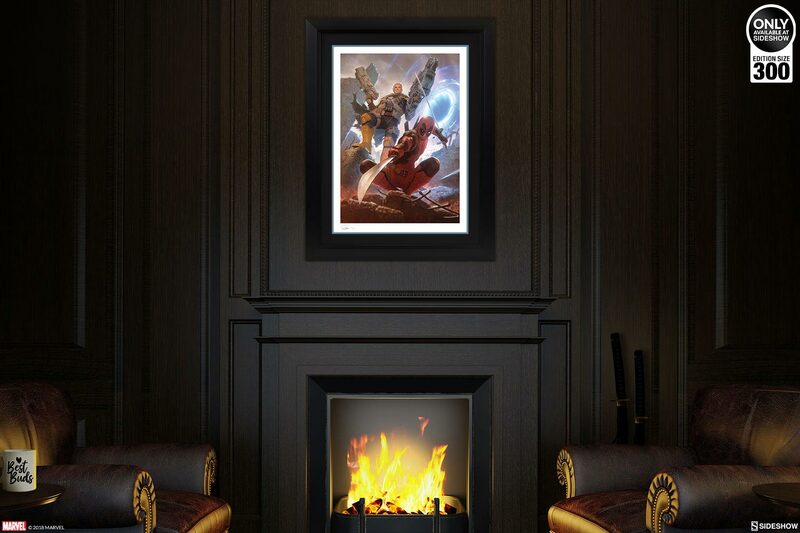 Unframed the art print is $90, but if you opt for the custom designer frame, it costs $250.